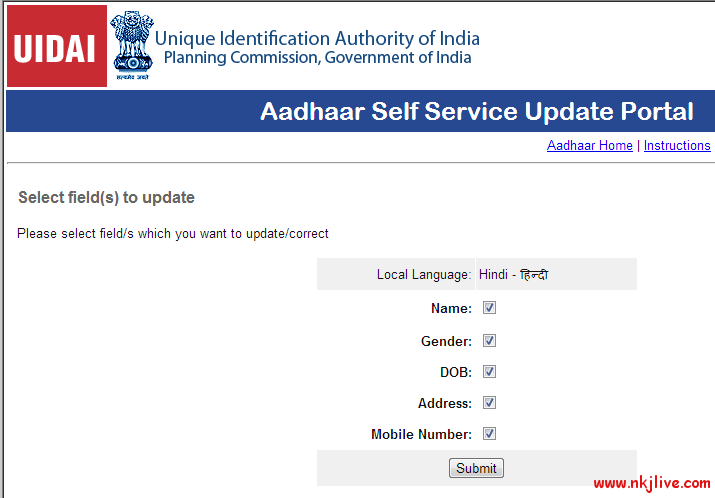 If your personal details like address, mobile number etc have changed since you enrolled for Aadhaar or the details entered are incorrect since beginning then here’s the chance to update the details online provided you have the relevant documents supporting the updation. 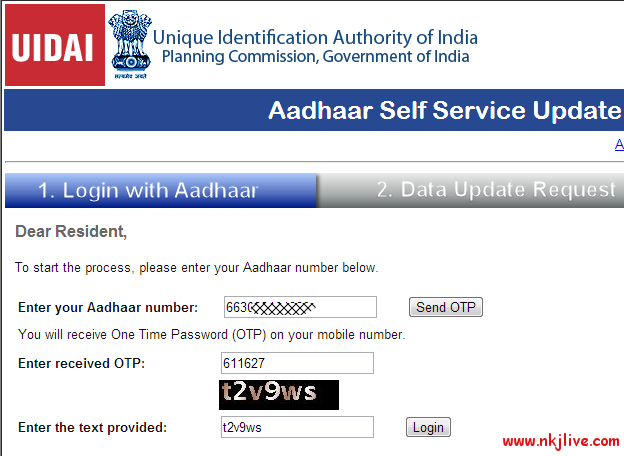 You will sent an OTP (one time password) on your registered mobile. Key in the OTP and captcha text and click Login. 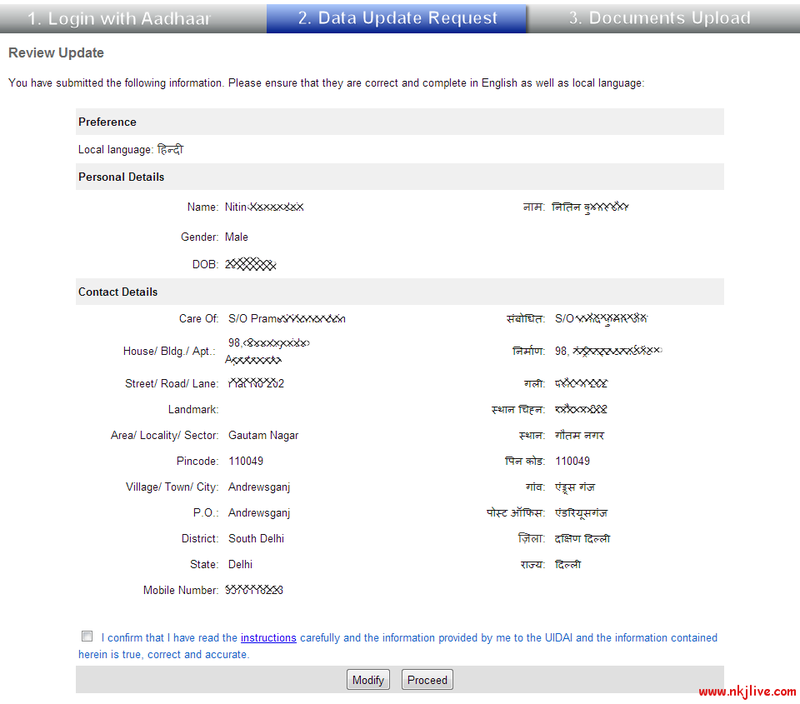 Chose the changes you wish to do like name, gender, date of birth, address or mobile. Update the changes on form. 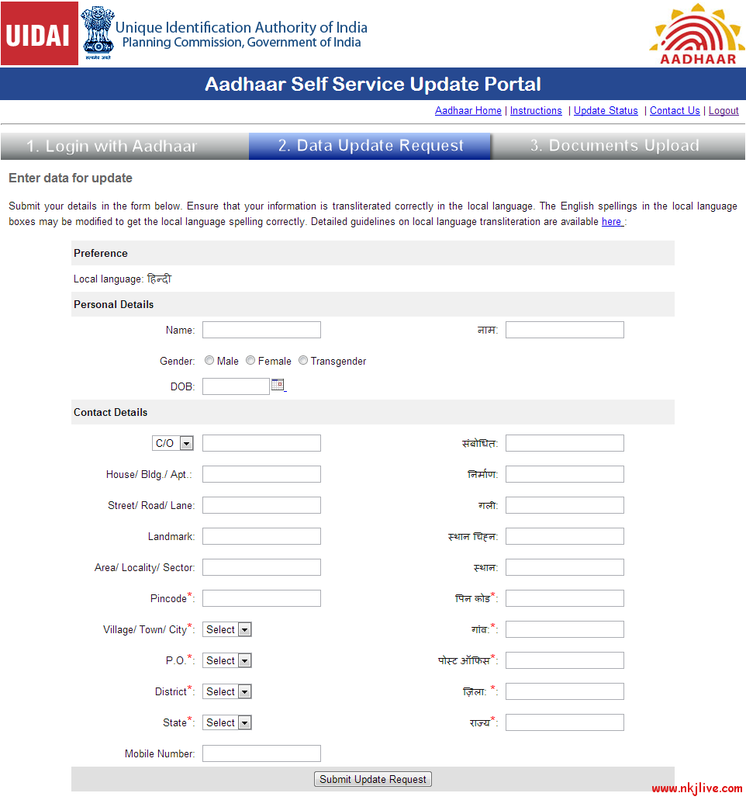 Verify that the translation to your local language is correct as you wish to see in your Aadhaar card. You will be presented with a review update page where you can review the changes and say proceed. Update self attested relevant documents and submit. Please click here for the valid list of documents. You will be provided with a URN for your reference. Other Aadhaar card services that are available online.